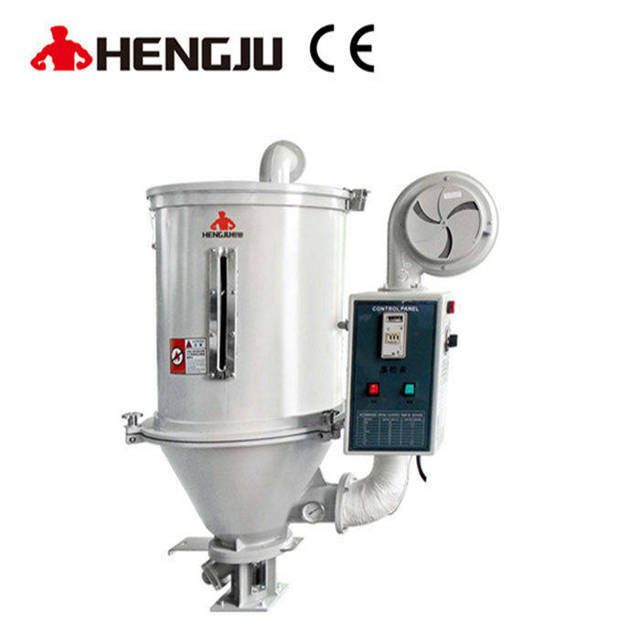 Standard Hopper Dryer_Dongguan Hengju Machinery Equipment Co., Ltd.
1. Contacting parts on raw materials is made of stainless steel. 2.Precisely cast aluminum shell, smooth surface and good performance of maintaining temperature setting. 4.Curved electric heating tube designed, avoid burning caused by raw materials dust accumulation at the bottom of tank. 5. Precisely temperature control by adopts digital (proportional deviation) display temperature controller . 6. Installed with proportional deviation display thermostat.to control temperature accurately. 7. 50-1500KG has high-temperature alternative: double-layer materials tank, stainless steel and heat release electric heating tube, high-temperature fan. 8. Available for any type of motor robot hand as casting aluminum die independent designed of barrel rolled backwards.